Karate – is a series of punches, blocks and kicks that focuses on strength and offensive techniques; a primary theme is to either put or catch the opponent off guard and then attack. Tae Kwan Do – incorporates many aspects of karate, but with more emphasis on the use of feet and spinning/flying kicks. Jujitsu – uses strikes, kicks, strangles, locks and takedowns to disarm the competition, still aimed at offensive techniques for the most part. 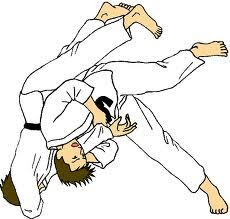 Judo – uses throws and its intent is to avoid an opponent’s strength while redirecting its power to one’s benefit. In order to remain relevant, (solve the innovator’s dilemma), entrepreneurs must find a way to continue to grow new ideas within their organizations, less their businesses become to mainstream and lose their uniqueness. This is where/how moving to principles-based strategy trumps reliance on a skilled technician and his or her own suite of strengths and abilities. Continue to recognize what strengths competitors have, then find a way to use those strengths against the competition and towards one’s own competitive advantage!